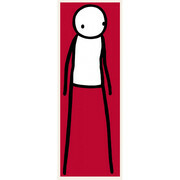 For sale, Stik Liberty, Walk and Invader Warning grey. I have more pictures for anyone who is interested. Red walk is still packed up at the moment (hence the stock image) but will get pictures of that also.